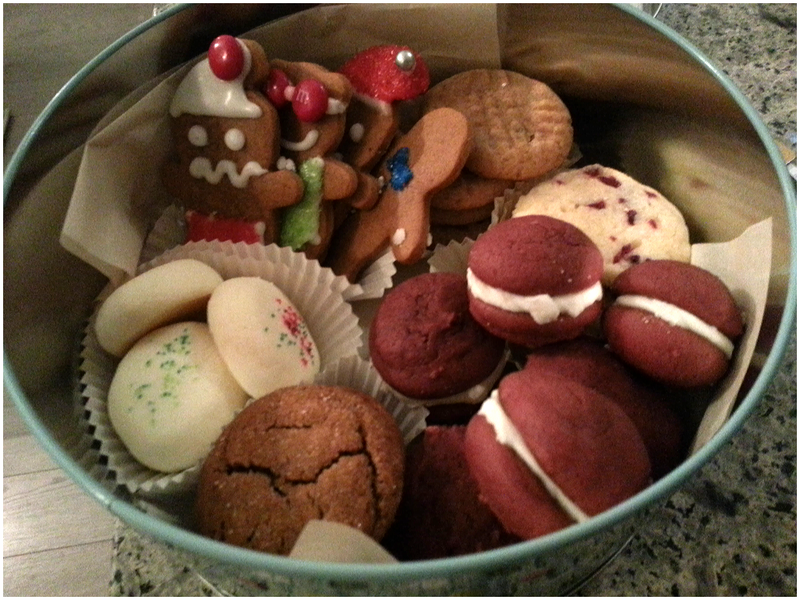 Ho Ho Ho, Holiday Treats! Here’s a few for now, more to come. Word of warning, these delicate cuties are a little hard to form – will require some patience and finesse. Be gentle with them while handing the balls, prior to putting them in the oven – they may crumble easily. Having said that, the same crumbly-ness helps to make it more delicious! 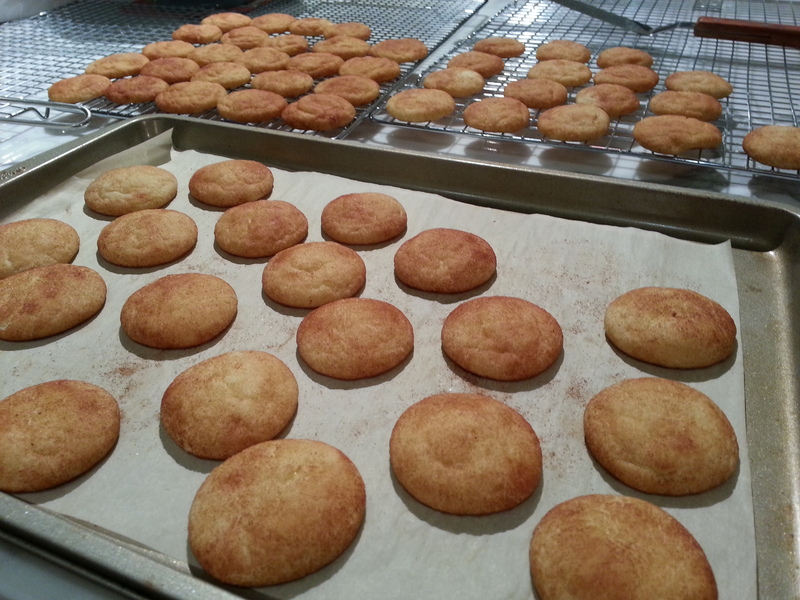 Fresh out of the over, they guys remind me of mini cinnamon sugar donuts from the fair! Nice and chewy as promised! This makes a pretty large batch. I decorated half with sugar sprinkles and saved half to decorate with icing sugar. Original recipe calls for orange zest but I used lemon instead. In addition, I also formed them into three 1″ diameter logs of 6-10″ length. After which, I froze them for about an hour before slicing them into <1/4" thins. For these bite size pieces, they were ready in 8-10 mins. Keep a close eye on them, they overbake easily – don't wait for them to brown to take them out of the oven. For the chocolate lovers! I used Baker’s semi-sweet chocolates and medium amount of icing sugar to coat. 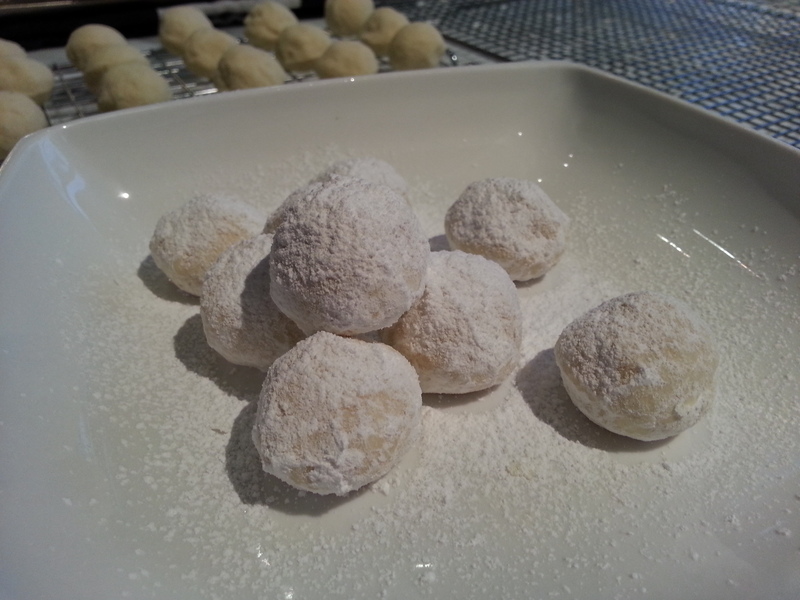 Don’t be shy with the icing sugar, the ‘cookie’ itself is not very sweet. I would describe this as a brownie-cookie, soft on the inside; best eaten first out of the oven just because they’re nice and warm. This was the first time I’ve tried these cookies and I didn’t get around to forming and baking them until the next night but they have quickily become one of my favourites – for taste, ease and looks! For houses and men decorating – great fun and yummy cookies too! I can’t remember which recipe I used for this particular batch but this one looks pretty reputable. Again, these don’t require browning and bake quickily, be careful not to overbake. I reduced the recipe in half and still managed to make 4 batches ~ 40 rounded teaspoonsfulls (which baked and ended up being ~2″ diameter cookies). 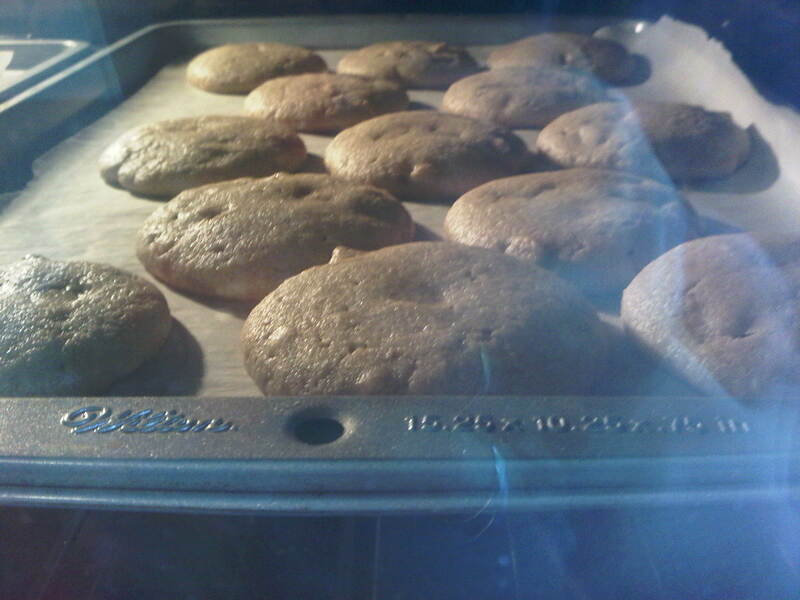 These guys took exactly 10 minutes, came up puffy (like the photo) but deflats into your regular looking peanut butter cookies. Super moist and chewy, delish! Recipes and more cookies to come! What’s better than soft and chewy peanut beutter cookies? 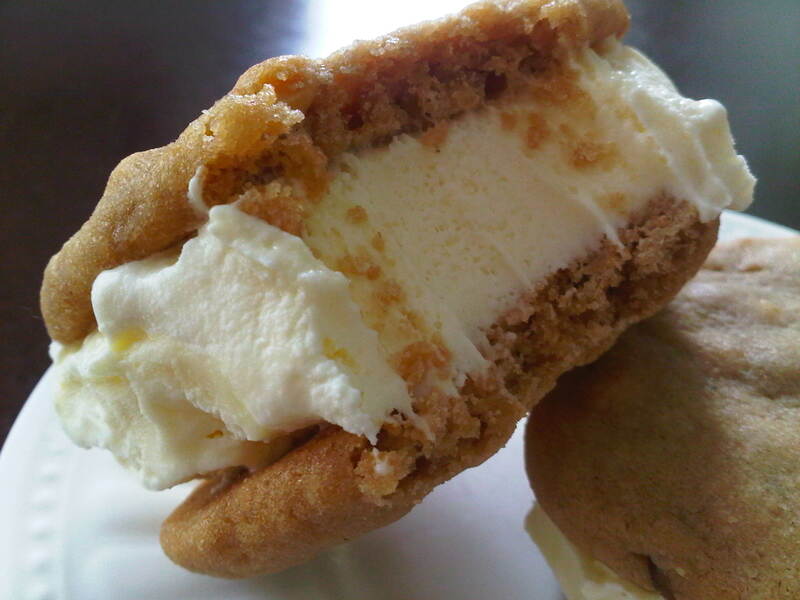 Well I suppose I already gave away the answer, but yes, sandwiching them with ice cream! Soft and chewy peanut butter cookie recipe can be found here. After letting them cool fully on a baking rack, I scooped up some vanilla ice cream and started building. After building, I returned them in the freezer to cool and avoid the ice cream from oozing out while you bite into it. Took a bite (no oozing), yummy as expected! 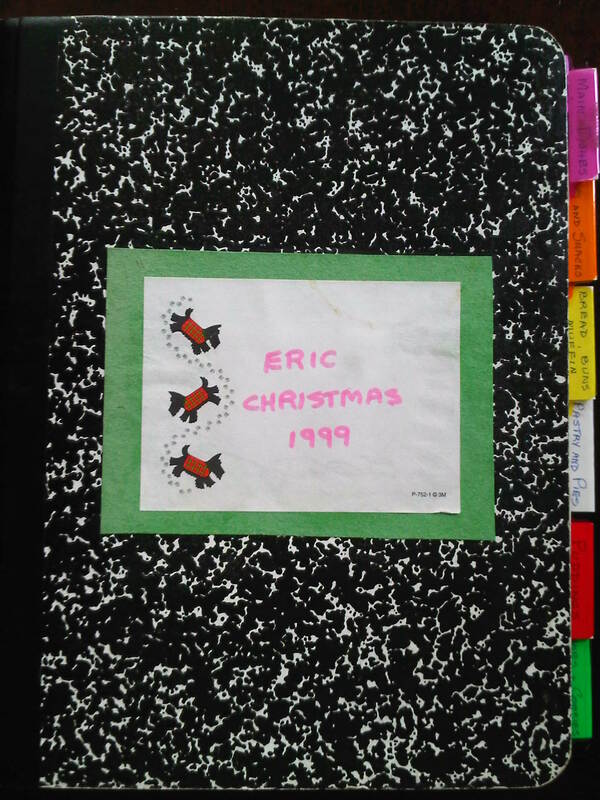 This was given to Eric as a Christmas present from his grandma in 1999. A compliation of grandma Wood’s recipe book, handwritten and given to each of her grandchildren as Christmas presents. Filled with tips, quotes and notes. 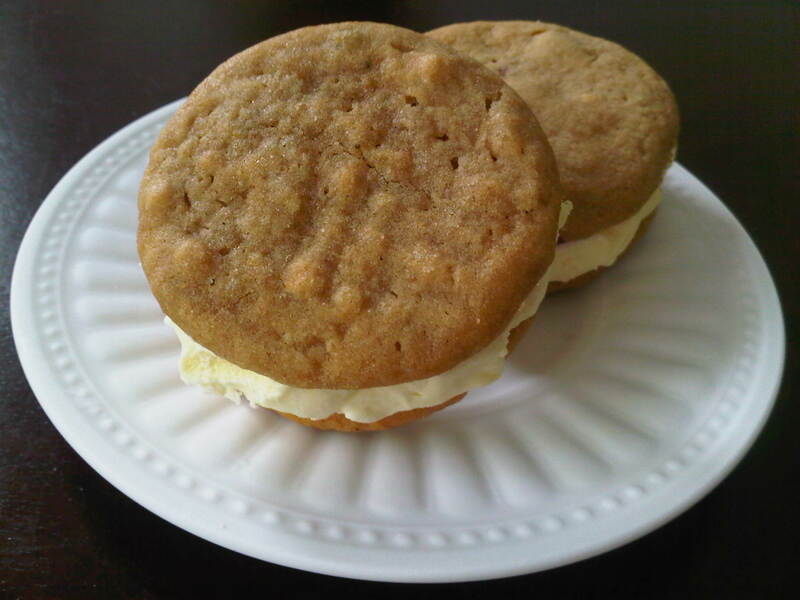 One of our favourite recipes (amongst many) is the Ranger Cookies. 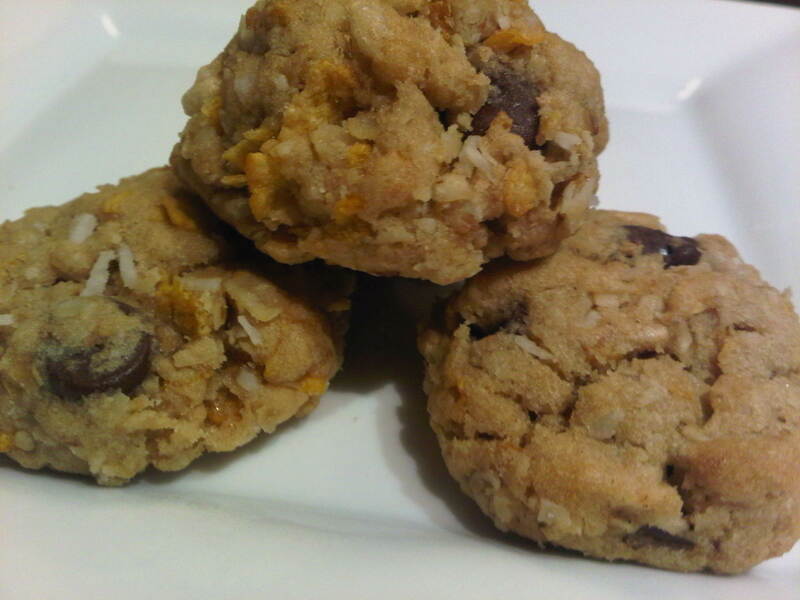 Similar to a chocolate chip oatmeal cookie, but so much more. They’re considered a treat served as breakfast cookies, because of the cookie by nature and the ingredients you would normally include in your breakfast (ie. eggs, oatmeal, corn flakes/rice krispies). Cream margarine and sugar until smooth. Add egg, beat until smooth. Sift flour, baking soda, baking powder and salt together and add to creamed mixture. Then add cereal, rolled oats, chocolate chips and coconut. Mix until all are combined. Drop by teaspoons on uncreased pan. Bake 15-20 minutes 350deg [F] oven. By the time you add all the good stuff, your bowl ends up quite full – make sure you use a large bowl to ease mixing. 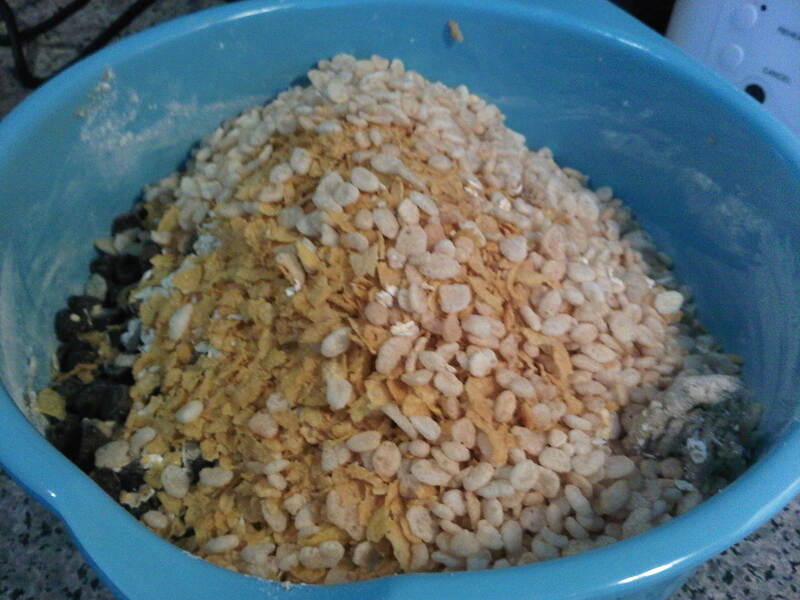 For this particular batch, I used 1 cup corn flakes (my fave) and 1 cup rice krispies (Eric’s fave). When I use rice krispies, I don’t crush them prior to adding it in the mix (they tend to get slightly crushed during the course of mixing anyway). But when I use corn flakes, I will put them in a ziplock (with most the air taken out) and crush it with a rolling pin before adding them in the bowl. I typically place them on a silicon mat or parchment paper (I only have 1 silicon mat). I also find that if I use a teaspoon and round it off into a dome (ie. 2 teaspoons sphere), they come out to nice bite sizes – I bake those for 8.5 to 10 minutes (depending on how many pans I put in the oven. 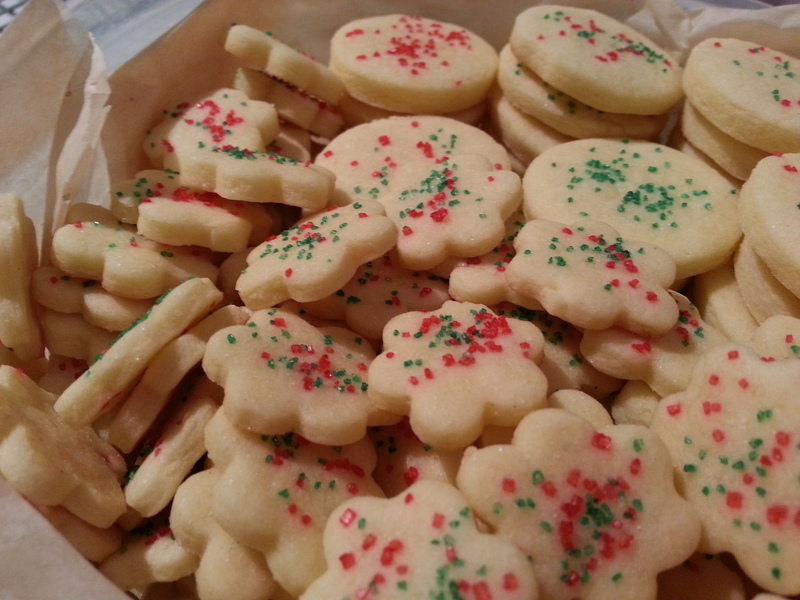 For these tiny gems, I end up with a lot of cookies so I always have a bunch stashed in the freezer. To defrost, just pull them out of the freezer into a plastic container and let them thaw out for 5-10minutes – good as fresh (just not warm)! Fresh out of the oven, ooey gooey yet very chewy!